Opening a new bottle of wine can be relaxing, unwinding, and certainly celebratory. 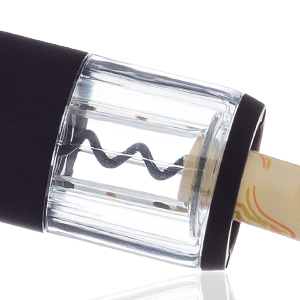 Use this professional wine bottle cork remover at home or take it with you when you travel! 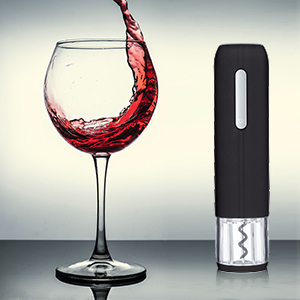 This is the best automatic wine opener on the market. This handy, portable device is essential for all wine lovers. The automatic feature and ergonomic design, make it comfortable to start your evening right. 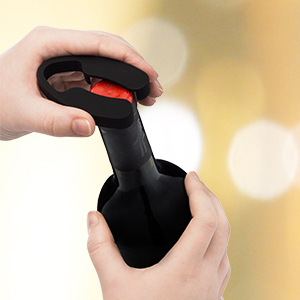 Look like a pro when you uncork your wine effortlessly. 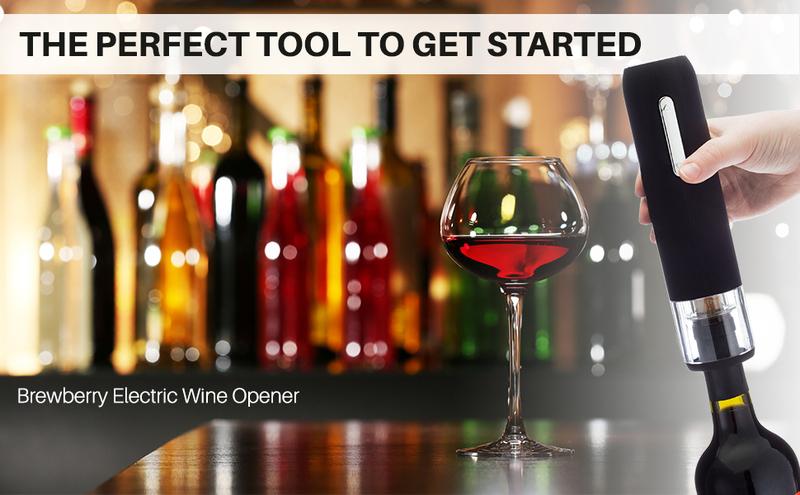 Simple one switch operation opens a wine bottle in just a matter of seconds. The charging stand ensures that the party never has to stop. Open up to 30 bottles on a full charge and when battery gets low, place the device in charger. A red indicator light you know when the opener is charging and once it’s fully charged, the light will turn a dazzling blue. Note: Remove charger from wall once charging is complete. 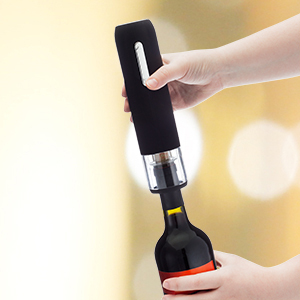 The sleek, stylish electric wine opener looks great with any room's decor! The matte black finish of the handle and charging station help to add a sense of elegance and fun to your living space. This device is a functional piece of decoration for any wine cabinet or counter top. Grip the foil cutter around the top of the wine bottle and twist. Make sure the foil is cut evenly around the top and remove. Place the corkscrew on the top of the wine bottle, while making sure it remains upright and not at an angle. Press the lower part of the switch to start. After the device has stopped moving, pull up and remove the cork. To remove the cork from the corkscrew, simply press the upper part of the button. Place the opener back on the charger until next use.